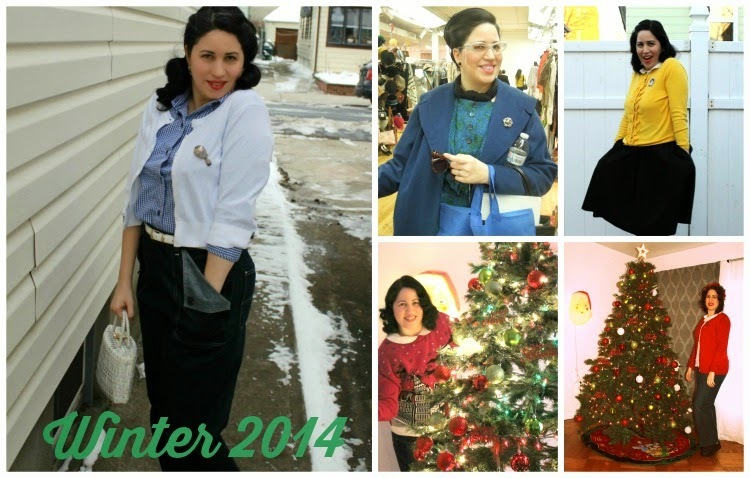 This year I feel as though I have finally found the clothes that I enjoy wearing and the style that suits me best. 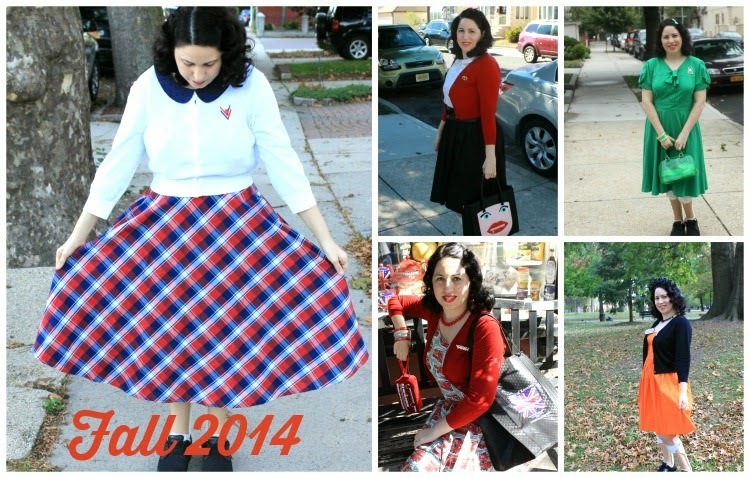 In looking back at my year in fashion for 2014 I was happy to see growth in my style but still a foundation of certain pieces like full skirts and cardigans that have remained a part of my staple. The most important thing to remember when you are getting dressed is whether or not you feel good wearing whatever it is that you are wearing. If you feel good and choose pieces that compliment you then it is a win-win situation. Have you looked back at your year in fashion and did you discover anything? 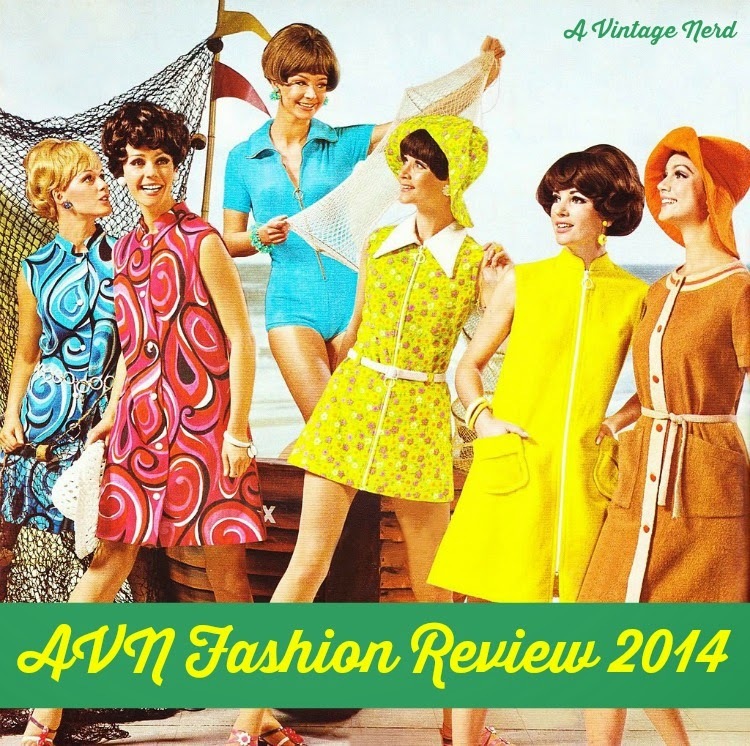 Here is to another year coming full of more vintage fashion inspiration! 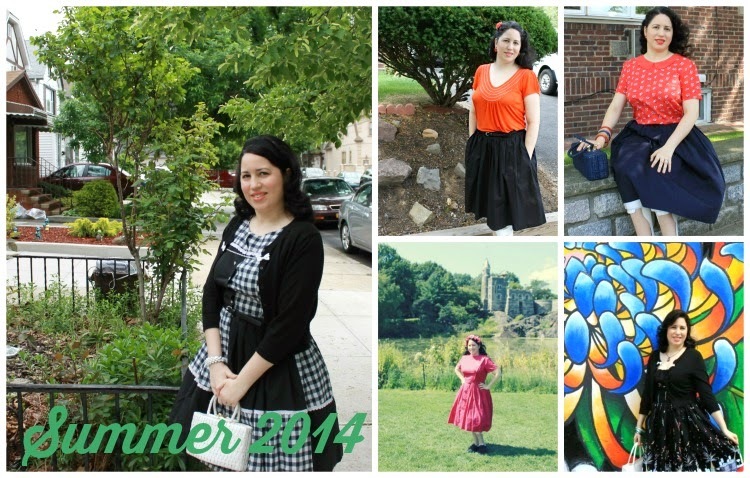 You have such a colourful, individual style :) I love seeing how my own style evolves over time and how it changes with my lifestyle, amount of funds and personal taste. 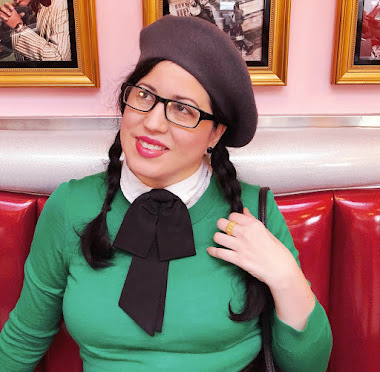 My style will probably always be vintage inspired but there are so many facets to 'vintage' fashion such that it may never really stay the same. I totally agree with your statement that we should all wear what makes us feel good; both in terms of comfort and attractiveness. Thanks for putting it so well! Ah you look so lovely with all the colorful outfits! Thank you for sharing them all with us, I can't wait for more in the new year. Here, here! If you enjoy what you're wearing and it compliments your body, then you should wear whatever your heart desires. 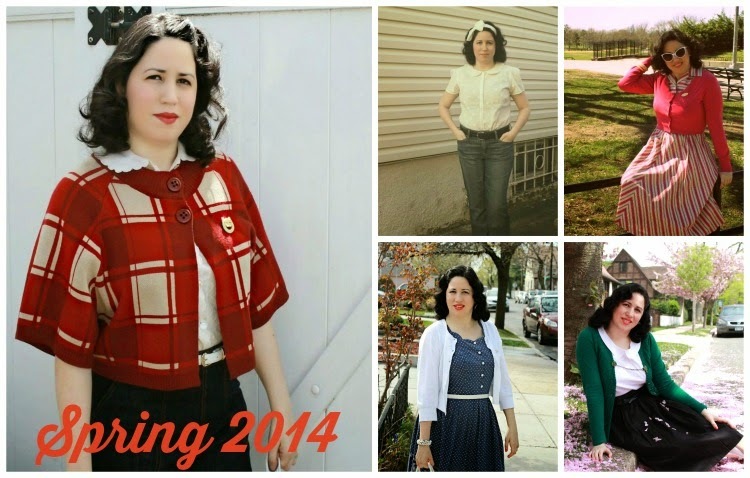 It's awesome that you feel like you've (further) found your sartorial voice, dear Daffny. That fact radiates through in your megawatt smile and sense of poise in these great photos from 2014.